We are in full pre-fall mode here! That means back to school and getting ready for football season here. 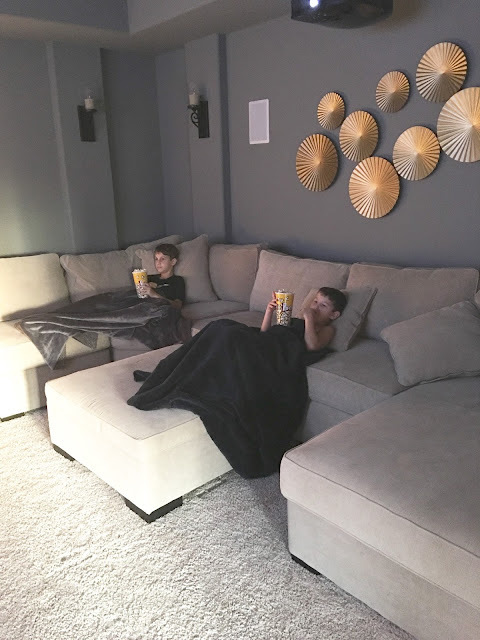 Our home theater has been a hot spot in our house since we installed the projection screen last year. We've had friends over for football games, the kids have cooled off here with summer movies and I watch my Real Housewives shows here...alone. I have all boys and they think it's hilarious I watch such a girly show. Surprisingly, my little guy watched it with me the other night and I had to plug his ears a few times. I didn't realize how inappropriate it was until then, but I'm glad he agrees Tom is a "bad guy." Housewives aside, I decided I needed to finally decorate this room. I vetoed the Scarface movie posters my husband wanted. I know it's a home theater, but I wanted it to feel like a comfortable living room. I had added these gold plates that were previously in the living room. I liked them in the living room, but I decided they would look better here. When I bought them I had pictured them in several places in the house and knew I'd probably move them. I love so many different design styles that I decided this is going to be the room that's a bit more contemporary than the rest of the house. 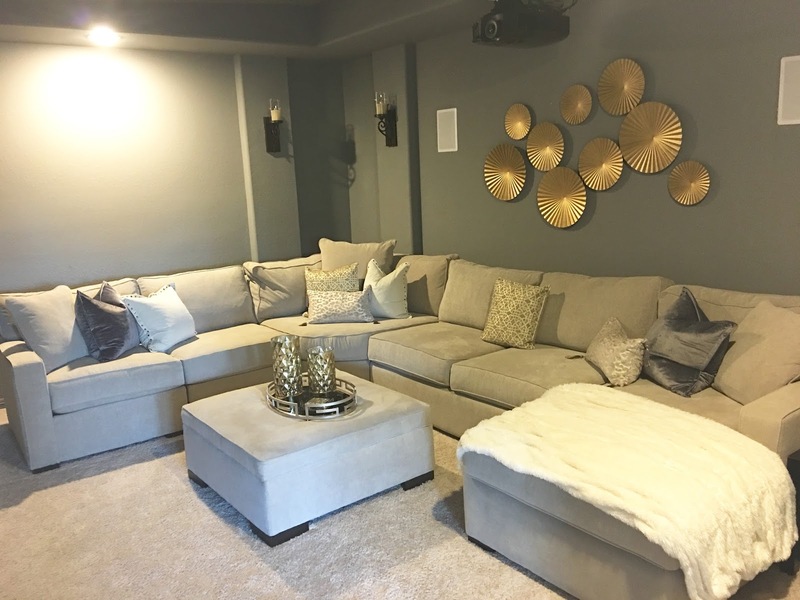 It fits considering it's a theater room, but the colors still blend with the rest of the house. The kids loved it in here at the end of the summer when it was too hot to go outside. I gave them popcorn and they were happy for several hours. The good thing about this room is that I only need to add a few things-pillows, a rug, and one more piece of artwork. Once I got that bug in my bonnet I couldn't think about anything else. 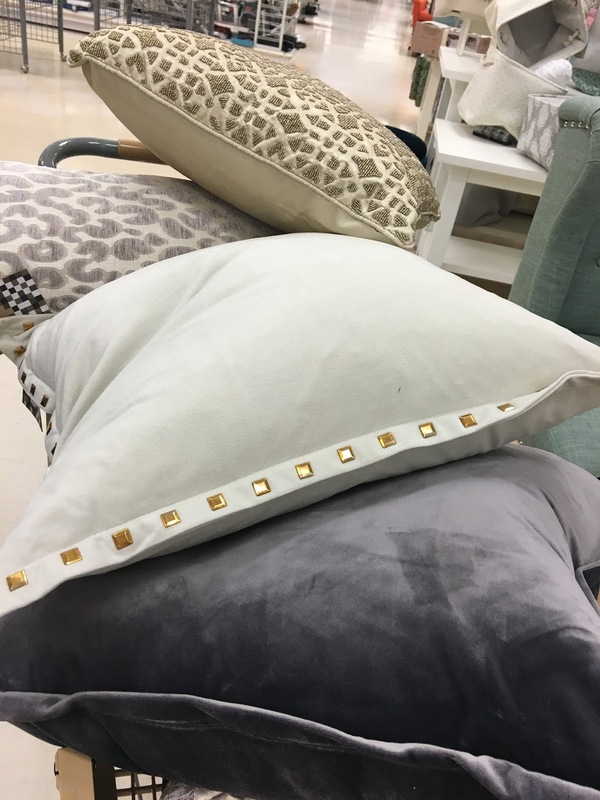 I found myself at Homegoods last week putting together an entire pillow story. 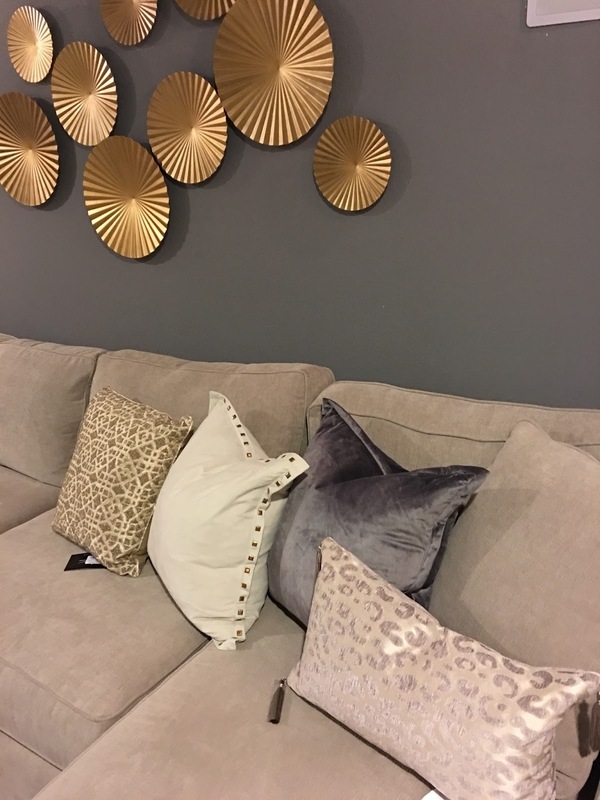 I'm honestly surprised I could find everything I was looking for-gray, cream and gold. And, you know you're on the right track when the other customers are eyeing your cart. I got it first ladies!! I've tried a few different combinations here and I'm going to have to buy just a few more pillows. That's always the case with pillows. You're going to need more! Now, for the back to school part! Here are shameless pictures of my kiddos. These two are going into 3rd and 4th grade. They didn't want to get close in the picture, but they play together amazingly. 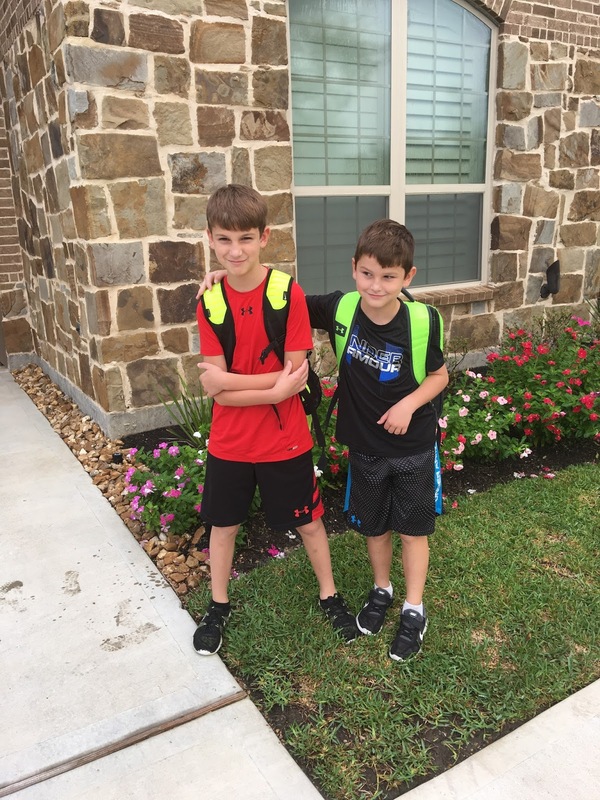 I know they were ready to get back to school and see their friends too. I've had an exhausting weekend with a Friday wedding rehearsal, Saturday wedding, and two design/staging jobs Sunday. All good stuff though! I still carve out a few minutes between appointments to decorate my own house. Check out my Instagram this week to see what I'm working on in the living room! Great space, Jennifer! Love those plates on the wall. The kids look nice and comfy on that fabulous couch! 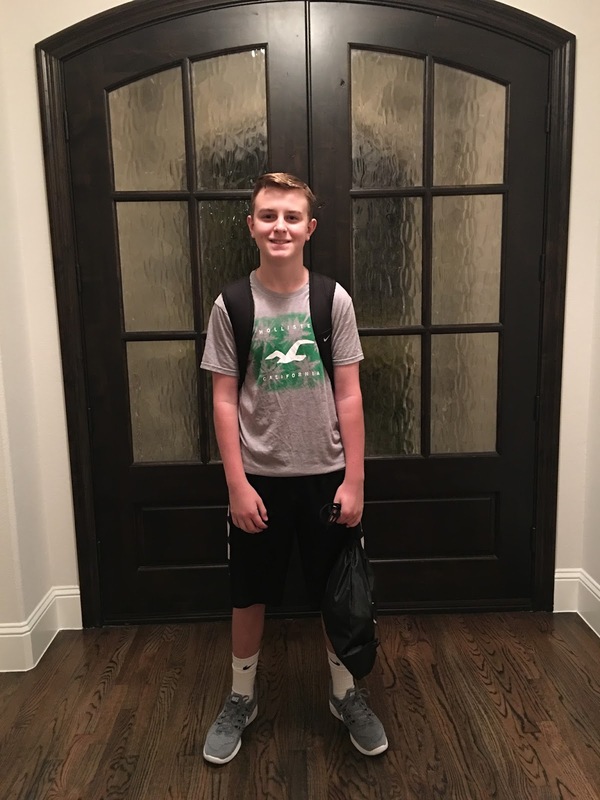 Great first day of school pics!